To publish content in the CNS marketplace, you first need a provider account. If you don't have one yet, see our Registering a provider guide. Otherwise, continue to step 1. Step 1. 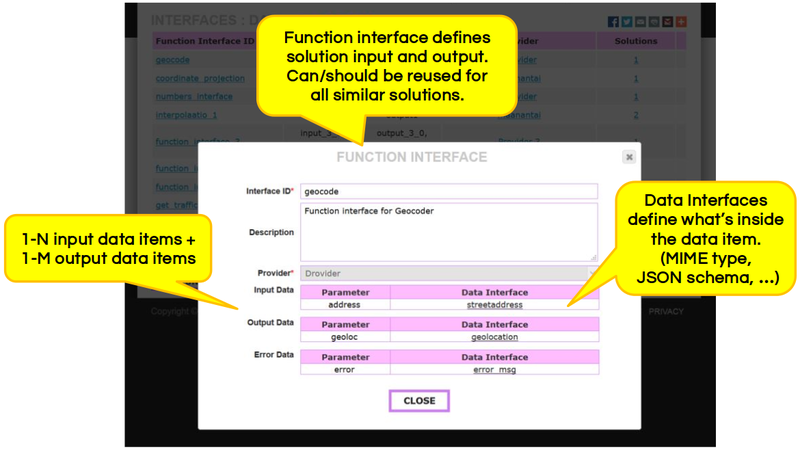 Your solution will need data and function interfaces to describe the input/output data types. It is recommended to search the existing interfaces in the Interfaces page to try to find interfaces that match your needs. If you can't find matching interfaces, you can create your own. For help, see our Creating a data interface and Creating a function interface guides. Step 2. 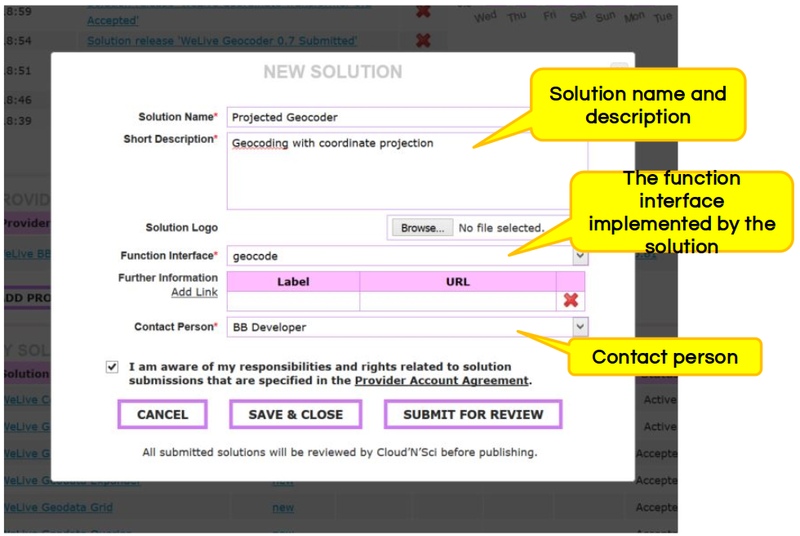 New solutions can be created in the My Business pages 'Solutions' section. Descriptions and help for filling out this form can be found in the solutions help page. Step 3. 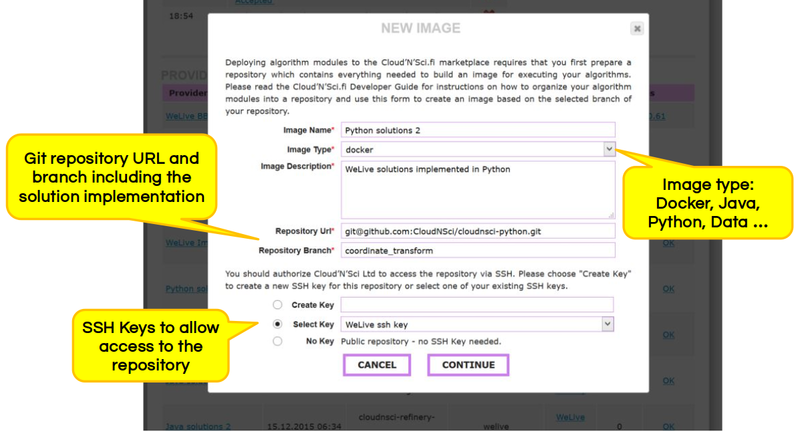 You will need to create a new image, that contains the implementation of your solution. For help with this section, see our Creating an image guide. Step 4. Next you have to make a release for your solution. 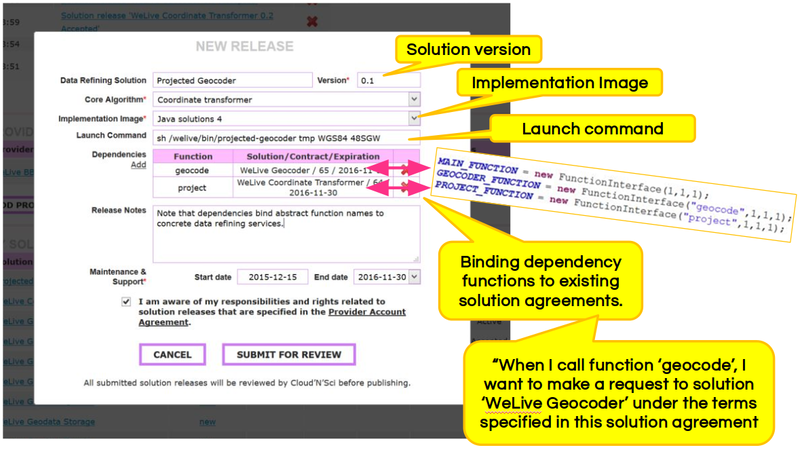 For help with this section, see our Creating a new release guide. Step 5. 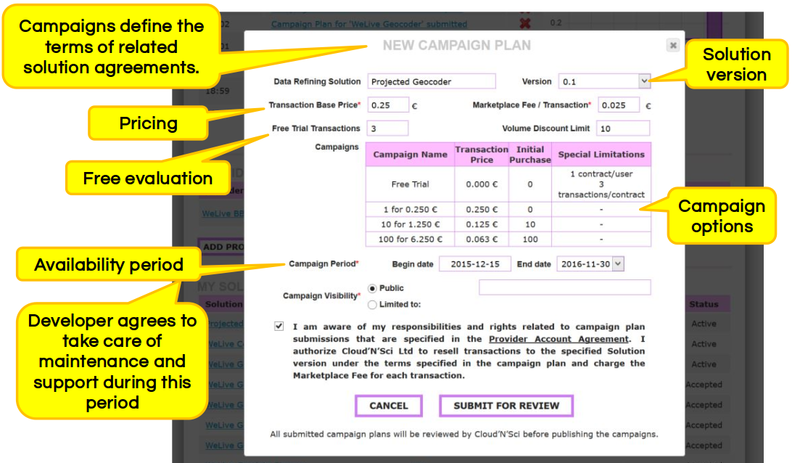 To make your solution available to users, you need to create a campaign. For help with this section, see our Creating a campaign guide.